ParentConfidante School Success Consulting specializes in helping parents negotiate the confusing and stressful private school admissions process in New York City and surrounding areas. Parents understand how important this undertaking is and often feel stymied and overwhelmed. They need clear, informed, confidential guidance. That is why ParentConfidante School Success Consulting was started many years ago. I help parents decide on the best private schools for their children and over the years children have gained admission to the most highly regarded schools in the city and to the schools that are best for them. I also provide guidance to parents who are looking for public schools for their children. It's important to understand which school districts provide the best schools and how to gain information about individual schools. 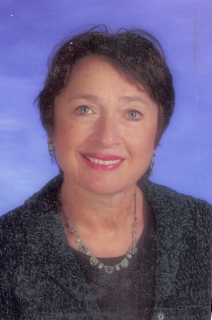 I am an educational consultant with many years of experience as well as a school psychologist who has expert knowledge of the NYC area private and public schools as well as the learning styles of children. That’s why I can help parents determine which schools are right for their children and how to gain admittance. I will help people present their child and family in the most positive way on the written essays and in interviews. I have also noted that there is sometimes a child or parenting issue that may impede the application or admission process. Given my background as a psychologist, I give commonsense, practical advice which smoothes the way to school acceptance. I also provide admissions support to families of children who have developmental delays or other special needs. The NYC area application process, private and public, is even more daunting for those children and families, but I will guide them through the admissions procedure so that their children can attend the schools best suited for their needs. I work with children preschool through 11th grade for Kindergarten, Middle School and High School admissions. I also work with families who are looking to change schools because the present school is not meeting their child's needs. Given my background, I provide expert guidance regarding which schools would be best. In addition, I have a great deal of experience helping people who are relocating to the NYC metropolitan area and whose children need immediate placement. I meet with clients in their homes or offices and whenever possible like to meet the children. This gives me a sense of the child which cannot be replaced by parental comments or school reports. This perspective is unique among other school consultants and provides essential insight. "Toby Glick is simply the most knowledgeable helpful consultant for kids and their parents. I never could have done it without her." Entrepreneur, mom of two, Manhattan. "Toby Glick cuts right through a maze of information and opinion, coming up with sensible, effective options. I left her meetings with a specific plan and more importantly, with confidence." Parent of special needs child, Westchester. Please note that Toby's appointments for Fall 2016 are nearly filled. (We accept only a limited number of new families to ensure that Toby can offer each child and each parent her highest level of service.) So if you are interested in learning more about ParentConfidante services, please book early. Simply email and/or call Toby Glick to discuss how ParentConfidante can support you and to receive a complete description of services and fees.